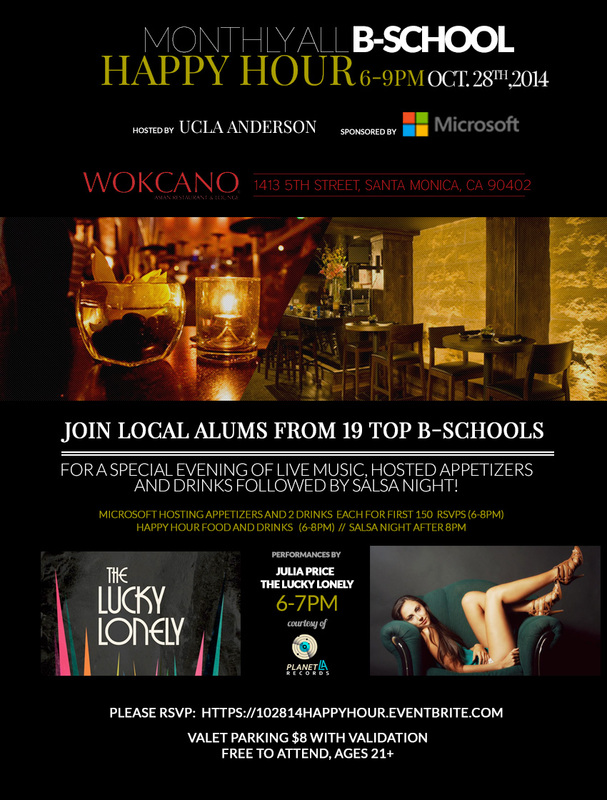 Planet LA is pleased to support a business school mixer at Wokano in Santa Monica, on Tuesday, October 28, 2014, 6-9 pm. Featuring the talented Julia Price and The Lucky Lonely performing from 6-7pm. Hosted by UCLA Anderson and sponsored by Microsoft. RSVP required.